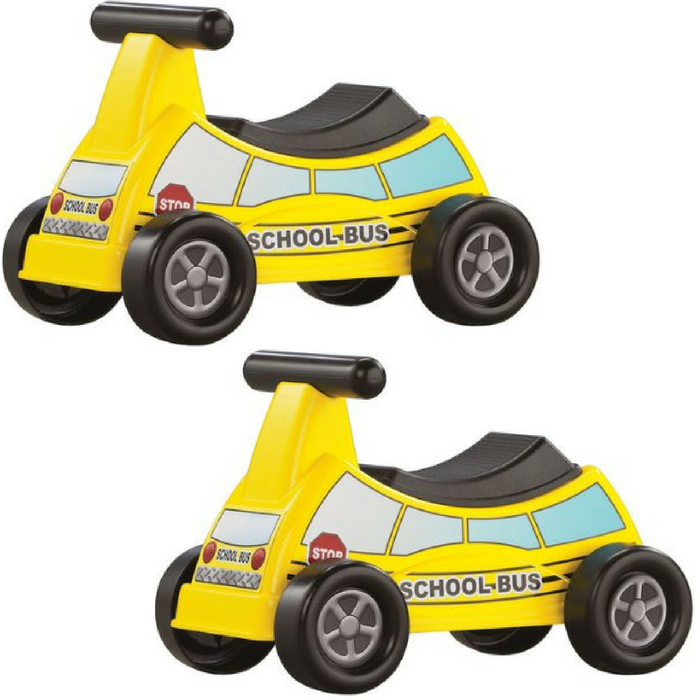 American Plastic Toy School Bus Ride-On Just $13.99! You are here: Home / Great Deals / Amazon Deals / American Plastic Toy School Bus Ride-On Just $13.99! Head over to Amazon where you can score American Plastic Toy School Bus Ride-On for just $13.99 PLUS FREE shipping with Amazon Prime or for orders over $25! School bus fun for even the youngest little student! Toddlers can ride along on this colorful decal decorated school bus. It comes with a storage compartment under the seat so kids can pack up their favorite toys, too. With a more than 50 year history of Made in America, American Plastic Toys offers the most comprehensive collection of injection molded toys in the nation. The complete collection is made in the USA and offers quality play at an affordable option for American families. All of their products are made of Polypropylene and Polyethylene safety tested to meet or exceed all ASTM safety standards as required by the CPSC and CPSIA.